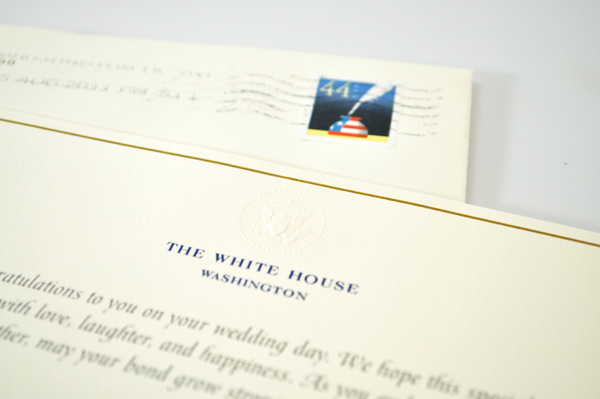 Among the ever-bustling halls of The White House and amidst the action of our country moving forward, there is a truly classic tradition that has remained constant: personal correspondence. Just as letters were popular in the era of President George Washington, for whom today’s holiday was created, you can still look forward to receiving correspondence from The White House. 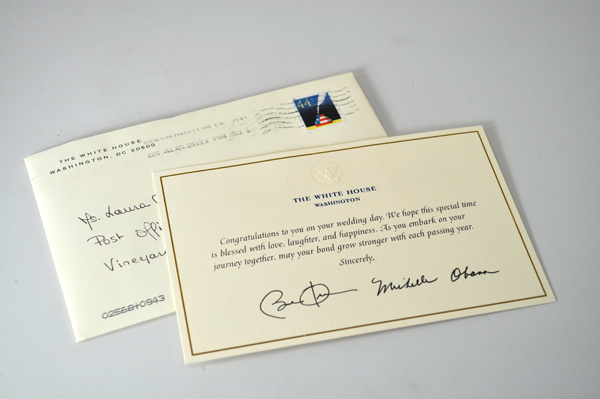 Prior to addressing my wedding invitations, I’d heard that an invitation sent to the First Family would garner a congratulatory response. I was pleasantly surprised when a lovely ecru envelope with a truly Presidential postmark arrived in my mailbox. Would you like to send a letter to The White House? Here’s the address, just in case!